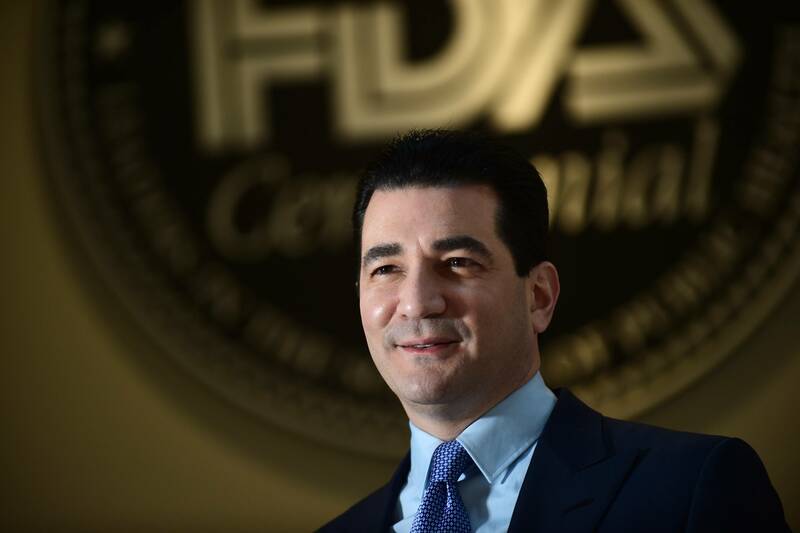 This week is expected to be Dr. Scott Gottlieb’s last as Commissioner of the U.S. Food and Drug Administration (FDA). During his nearly two years in the position, Commissioner Gottlieb has confronted a range of public health challenges, including the opioid epidemic, an increase in teen nicotine abuse, and natural disasters (as this Blog has already considered). He has been the rare administration official to earn praise from commentators on both sides of the aisle for his public health-centered approach and his focus not only on the agency’s consumer protection mission but also on the science behind many of these issues. This post focuses instead on Commissioner Gottlieb’s efforts to advance policy in a number of areas relating to prescription drugs. Although there are many to choose from, I primarily consider three: the agency’s efforts around speeding generic drugs to market, biosimilar regulation, and alterations to the drug approval process. I also highlight issues to watch under Acting Commissioner Dr. Ned Sharpless (current director of the National Cancer Institute), who may be interested in increasing the agency’s focus on precision medicine issues or interagency collaborations. Commissioner Gottlieb’s efforts to both speed and prioritize generic drug approvals have been notable for two primary reasons. First, Commissioner Gottlieb’s affirmative efforts to speed generic drugs to market have not been solely agency endeavors. Congress has provided the agency with additional authority and assistance in this area through the 2017 Food & Drug Administration Reauthorization Act (FDARA). FDARA created a new priority review pathway for generic counterparts of brand-name drugs for which there are three or fewer approved generics, seeking to review such applications within eight months (section 801 of the law); the legislation also provided a 180-day exclusivity period for first-approved “competitive generic therapies,” generics for which there is no more than one approved competitor, whether the brand-name reference drug or another generic (sections 803 and 808 of the law). The FDA approved its first competitive generic therapy product roughly a year after FDARA’s passage. Congressional support may not have been necessary for the FDA to achieve many of Commissioner Gottlieb’s goals on generic drug approvals, but it certainly was beneficial. Before the passage of FDARA, the agency had already begun to publicize a list of generic drugs without sufficient competition, in the hopes of spurring market entry. The agency had also taken major steps toward clearing the existing generic drug approval backlog, a goal of the FDA’s since before the passage of the first Generic Drug User Fee Act in 2012. But FDARA and the explicit, bipartisan support provided for the agency’s efforts has enabled Commissioner Gottlieb to progress further with his agenda than have other governmental officials, who may be more hamstrung by a lack of formal legislative authority or even tacit approval. Second and in some ways more importantly, unlike prior FDA Commissioners, Dr. Gottlieb has explicitly discussed the need to accelerate generic drug approvals as it relates to the problem of high prescription drug prices. To be clear, prior Commissioners have emphasized the importance of promoting competition in the marketplace when explaining the need to support a robust generic drug approval pathway. But Commissioner Gottlieb’s explicit, repeated focusnot only on competition, but also on the need to lower prices and on the FDA’s contributions to that goal, is a rhetorical change that matters for the choices made by the agency as well as for the public perception of the agency’s mission. For instance, the FDA has taken steps to increase awareness about the “shenanigans” (as Commissioner Gottlieb has referred to it) engaged in by branded companies in their efforts to prevent generic companies from coming to market. The agency now publishes a list of branded companies accused of restricting generic companies’ access to samples of branded products for the purpose of delaying the needed bioequivalence testing, a naming and shamingtactic designed to persuade companies to change their behavior. The agency is also taking steps to deter branded companies’ use of the citizen petition process to delay generic competitors, by issuing a draft guidance document that may allow the agency to deny some of these petitions more easily. Commissioner Gottlieb understands, however, that prioritizing competition under existing legal frameworks — particularly when such competition is limited to the small-molecule drug context — is at best a limited solution to the problem of high drug prices. As biologics continue to grow in both therapeutic importance and their contribution to prescription drug spending, solutions that take account of the different attributes of these products will be needed. To that end, in 2018 the FDA released a Biosimilars Action Plan, aiming to promote competition in biosimilars more widely than has been accomplished so far. Although the Action Plan has yet to be fully implemented, it contains a range of proposals, several of which could be key in promoting competition in this space. In particular, “providing additional clarity… on demonstrating interchangeability” could be significant; the designation of a biosimilar as interchangeable with its reference product could enable the automatic substitution of the biosimilar for the reference product, as typically occurs now for small-molecule drugs. The Action Plan’s efforts around international harmonization and data sharing with foreign regulators to promote the use of non-US-licensed comparator products could also prove important, as the European experience with a biosimilar pathway predates our own and biosimilars have much greater market uptake in Europe than in the US. But the Action Plan is still focused on biosimilar approval rather than market entry. And while the FDA has approved 18 biosimilars to date, just a handful have actually entered the US market. Branded firms’ efforts to build and enforce extensive patent portfolios around their biologics have delayed biosimilar manufacturers’ efforts to enter the market here in the US, even as competition for some of these products already exists in Europe. Further, given the scientific difficulty of producing biosimilars at present, stakeholders and analysts have long argued that the price declines potentially attributable to biosimilars pale in comparison to those that have been seen in the small-molecule context. To the extent that the agency is concerned about biologic drug pricing, promoting biosimilar competition can only provide a limited remedy. The most controversial aspects of Commissioner Gottlieb’s legacy on prescription drugs will most likely come from his continued push to “modernize” the clinical trial process. Over the last several years, the agency has come to approve many drugs more quickly, on the basis of fewer, smaller trials, particularly in the oncology or orphan drug spaces. Yet it often takes companies many years to complete the FDA’s required follow-up trials (if they do so at all), meaning that patients may be receiving these drugs (many of which command high price tags that burden both individual patients and the overall health care system) with little demonstrated evidence of their clinical efficacy. Under Commissioner Gottlieb, the agency has continued its emphasis on these issues, for which he has received both praise and criticism. To be sure, some of Commissioner Gottlieb’s efforts were prompted by actions during previous administrations. The 21st Century Cures Act of 2016 instructed the FDA to “establish a draft framework” for the use of real-world evidence in the approval of new indications of existing drugs or the completion of post-approval study requirements. It is not yet clear how far-reaching or important that framework, issued in December 2018, will become. But along with the agency’s promotion of its expedited approval pathways (which were used for 73 percent of all new drugs approved in 2018), the real-world evidence framework appears to many observers to be in tension with Commissioner Gottlieb’s stated focus on maintaining the “gold standard” of FDA review. Dr. Sharpless will soon take over as Acting Commissioner of the FDA. Commissioner Gottlieb and Secretary of Health and Human Services Alex Azar have suggested that Dr. Sharpless is likely to continue implementing many of the agency’s existing priorities. Commissioner Gottlieb noted that Dr. Sharpless is “deeply committed to public health” and Secretary Azar stated that “there will be no let-up in the agency’s focus” on issues from drug approvals and the opioid epidemic to youth smoking. However, Dr. Sharpless will likely have priorities of his own, and his background and existing governmental service suggests at least two areas on which he is likely to focus. First, given his current position as well as his previous leadership of the University of North Carolina’s Lineberger Comprehensive Cancer Center, Dr. Sharpless is likely to press the agency forward on issues relating to the development of new oncology treatments. Although these issues are wide-ranging, they are likely to include the promotion of precision medicine (including big data strategies), continued interest in immunotherapy treatments, and the development of new diagnostic and prevention tools. The FDA has already sought to make changes to the drug approval process in the oncology space, but Dr. Sharpless’ expertise on the research side of the endeavor is likely to bring a fresh perspective to the agency’s efforts. Second, look for Dr. Sharpless to promote collaborations between different agencies, particularly agencies within the Department of Health and Human Services whose missions may be complementary. Under his leadership, the NCI has continued existing collaborations with the FDA and also begun new ones; Dr. Sharpless has noted the importance of “strategic partnerships as a key step toward making advances against cancer.” With the NCI’s Deputy Director taking over as Acting Director upon Dr. Sharpless’ departure, Sharpless’ existing relationship with NCI’s new leadership will likely encourage the continuation of those partnerships. More interesting to watch will be any collaborations the FDA enters into with the Centers for Medicare and Medicaid Services (CMS) under Dr. Sharpless’s leadership. The National Institutes of Health (NIH) in general has many fewer collaborations with CMS than it does with the FDA (according to the NIH’s public reporting on the topic). The fact that Dr. Sharpless has not previously served in another agency-related capacity means that his exposure to the ways in which CMS and the FDA interact may be more limited than was Commissioner Gottlieb’s. (Gottlieb had worked at both CMS and the FDA during the George W. Bush administration prior to returning as Commissioner in 2017). It is too soon to say what will happen in the coming months in terms of a more permanent Commissioner. Dr. Sharpless may well be formally nominated as Commissioner in the near future, although this White House tends to leave acting officials in place for lengthy periods of time. If Dr. Sharpless is nominated and confirmed, look for him to make these issues a focus of his leadership of the FDA.